Indonesia language and literature educator in elementary, secondary and high school level. Indonesia languager and literature observers and researchers. Educational decisions maker on regional and national level. We recommend classroom action research, qualitative, descriptive, or quantitative. We may process manuscript of didactic development research (DDR) or research and development (RnD). Our publication could be research on teaching method, experiment of teaching aid or media, and even effectiveness of lesson study. 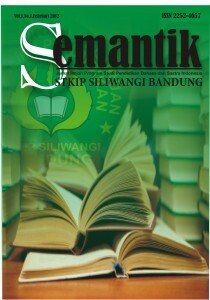 We accepted any manuscript derived from research of language and literature education in Indonesia. We will not process manuscript from research approach of school management.